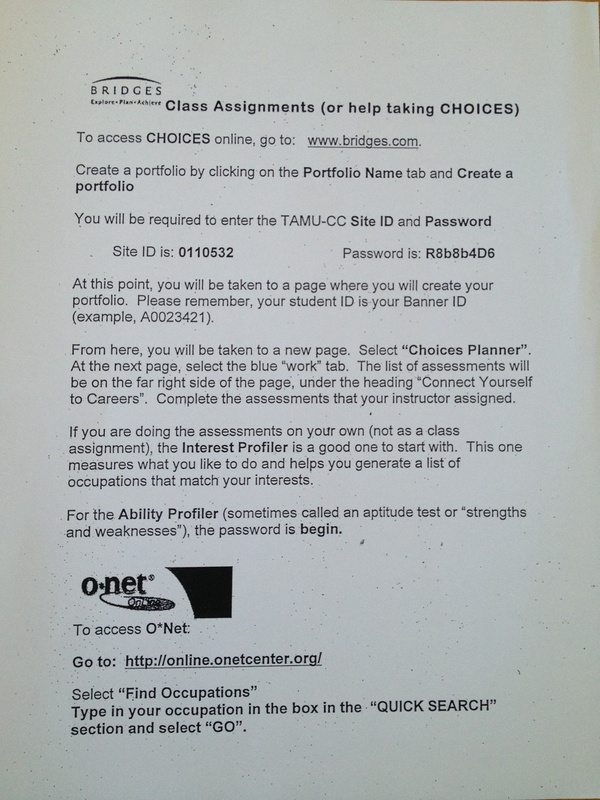 Today, you will need computer access to complete your class assignments. PRINT your results and bring them to class with you on Thursday. * Were you surprised by any of your results? * Did you learn anything new about yourself? * Did you see your desired occupation on the career list at the end of your assessments?